Remarks: The restaurant will open till 9pm when Thu is the Lunar 1st or 15th. 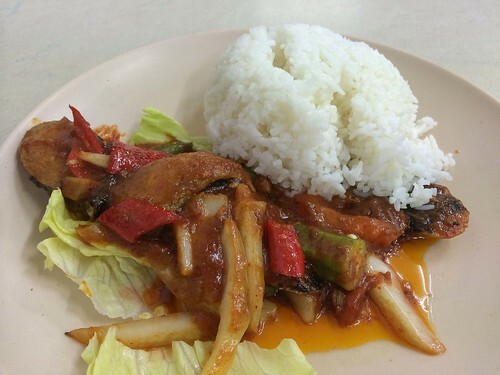 Nature Vegetarian Delights Hougang is not as well furnished as the Serangoon branch. Some of you may think that we have attached the wrong photo for the restaurant. This is really how the restaurant looks from the outside. It seems that they must have been so busy operating the restaurant that they forget about changing the old signboard from the former operator. We ask that you do not judge the restaurant from its shabby exteriors, because the food here are really good. When we arrive in the morning, there are already many patrons sitting at their tables enjoying their Pratas. The main customer counter does not entertain any order or payment for Prata. We join a dedicated queue by the side. We patiently wait for our order to be taken as the queue is quite long. Nature has three staff dedicated to Roti Prata. A young man ferociously pounds the dough while listening to his music player. The next helper takes over the flipping of the dough into Prata. Lastly, an uncle takes our order and handed over the Prata when they are ready. This conveyance belt approach is pretty efficient. The Prata from this branch has a slight buttery and starchy taste. Sadly, the gravy is not spicy and watery. 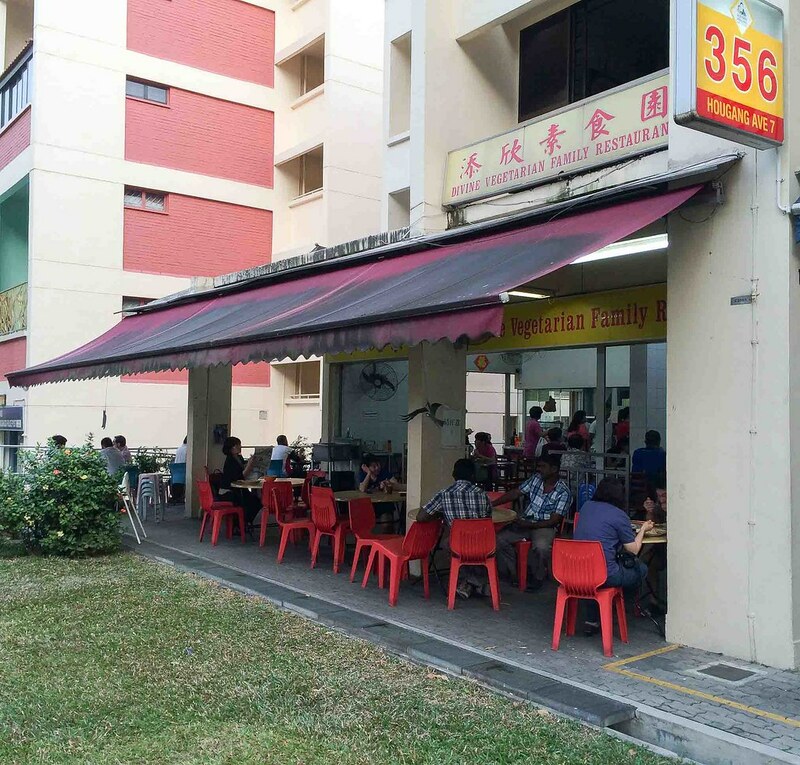 Besides Roti Prata, Nature Vegetarian Delights Hougang sells economic rice and a variety of staple Chinese dishes throughout the week. This is quite a simple dish to prepare. The chef deep-fried the sliced mock fish, and cooked them with ladyfingers and sliced cabbage in spicy sambal sauce. He then poured the cooked mock fish onto the lettuce and white rice. We find the dish tasty but oily and not spicy. 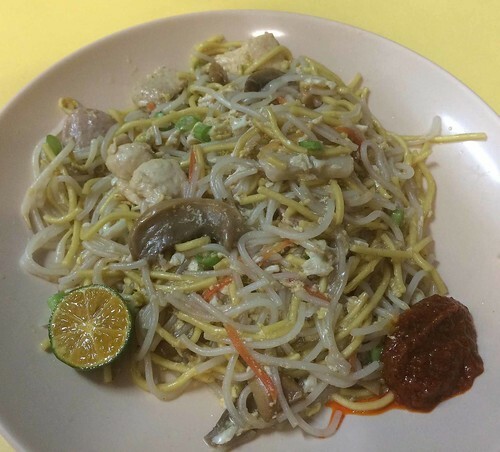 Hokkien Mee is a difficult dish to get right. The original is a mixture of egg and rice noodles in a fragrant stock made from both fresh shrimp, dried prawns and pork. Hence a vegetarian chef is handicapped in cooking a great Hokkien Mee. If he cooks it too wet, the noodles become soggy. The dish ends up like a bowl of soup noodles. If he cooks it too dry, the dish will be overwhelmed with the taste of noodles. The chef at Nature gets the dish perfectly right (that is not too dry or wet). 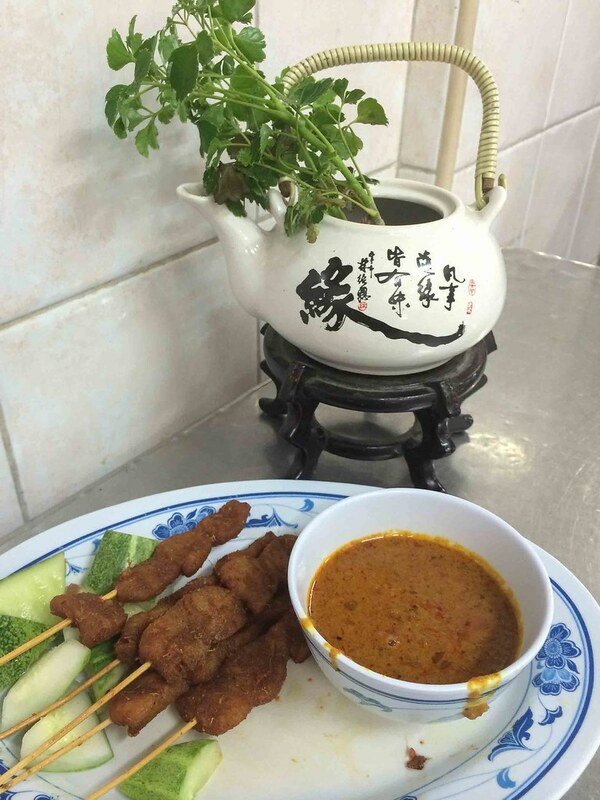 On top of it all, the restaurant uses a slightly sweet chilli sauce which complements the dish. 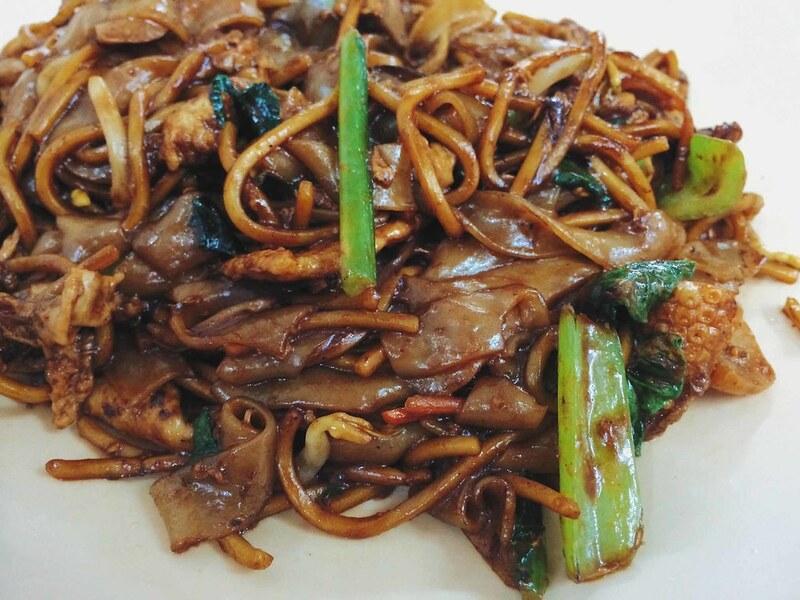 We dare say that the Hookien Mee is one of the best we have eaten in Singapore. 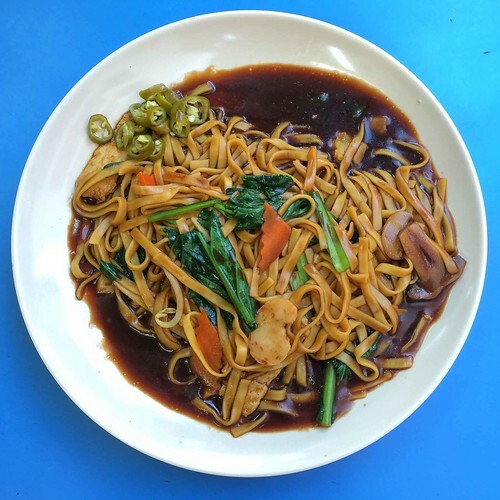 Chap Kway Kuey is cooked in the same style as the Hokkien Mee, resulting in a slightly moist texture and solid wok taste. It also tastes mildly sweet probably due to the soy sauce. The satay is brought off the shelf, which regular vegetarians will have eaten elsewhere. We like the gravy with the right balance of peanuts and spiciness. We look forward to the satay Mee Hoon if the same gravy is used. We order the carrot cake without eggs. The restaurant throws in some bean sprouts and mushroom, which is a first for us. There is plenty of Cai Po in the carrot cake. We find the carrot cake of average quality. 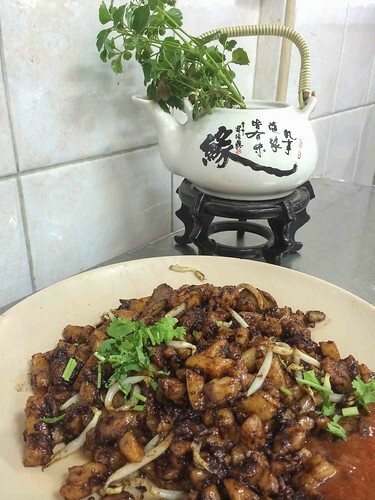 The dish is similar to claypot noodles, except that it is not cooked and served in a claypot. We love the thick soy sauce gravy. Surprisingly there is no ghee taste from the yellow noodles. Nature Vegetarian Delights Hougang really lives up to its “Delights” name. We like most of the dishes. Moreover, its taste should appeal to both vegetarians and non-vegetarians alike.